In this podcast Chris Hooper the CEO of Accodex shares insights with hosts Richard Francis (CEO of Spotlight Reporting) and MC Carter (Director and Founder of Practice Paradox) on the future of accounting, and the democratisation of business intelligence. Once only accessible to big businesses with bottomless pockets, the group explores how advancements in cloud accounting has made BI accessible for accountants to empower small business clients to succeed. The group also discusses where the mind set of newly emerging accountants is headed, along with a series of innovative ways to market advisory services to your clients. There's plenty of gems here to discover so enjoy the podcast! 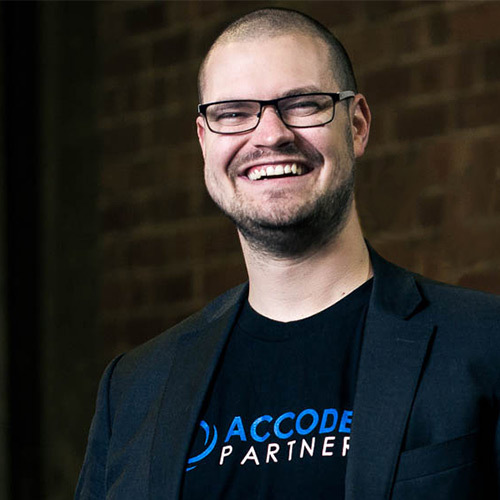 Chris Hooper is Founder and CEO of awarding winning firm for innovation, Accodex. Also known in the industry as an 'Accounting Futurist' Chris is on a mission to change the way the accountants think about their careers, and push the boundaries of innovation through his firm.